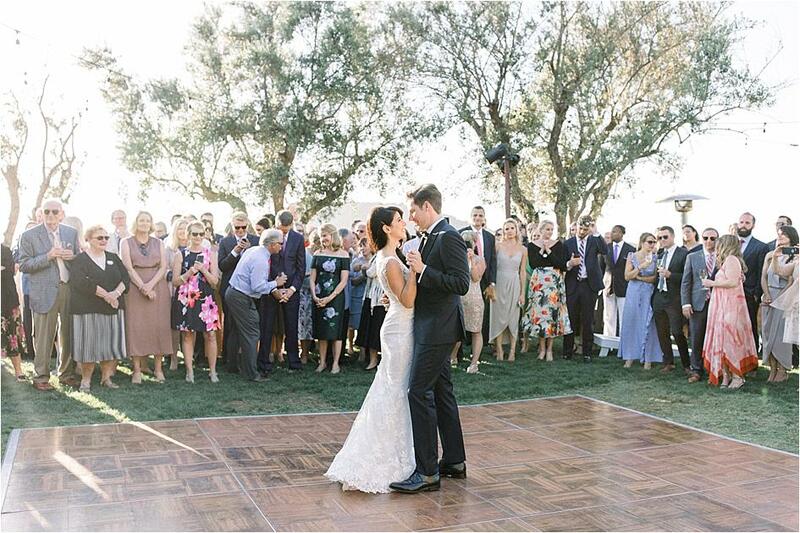 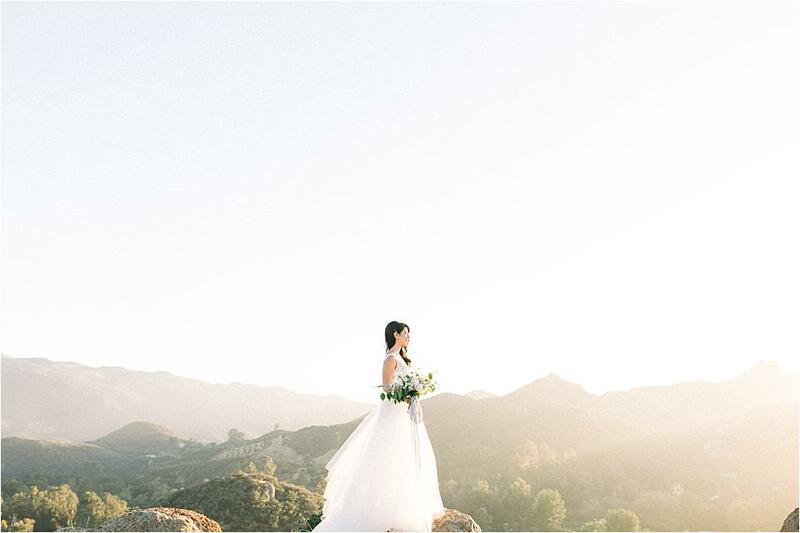 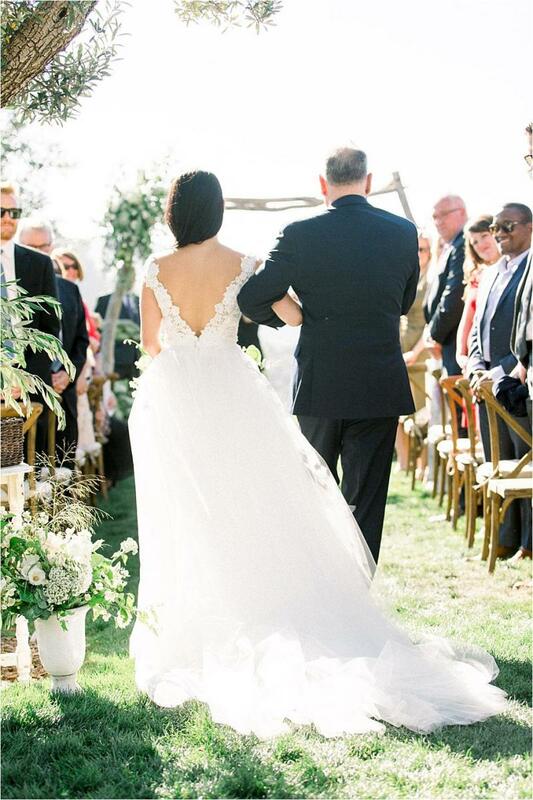 Bianca and Drew's wedding at Cielo Farms, under the amazing planning of Star Hansen Events, was nothing short of incredible. 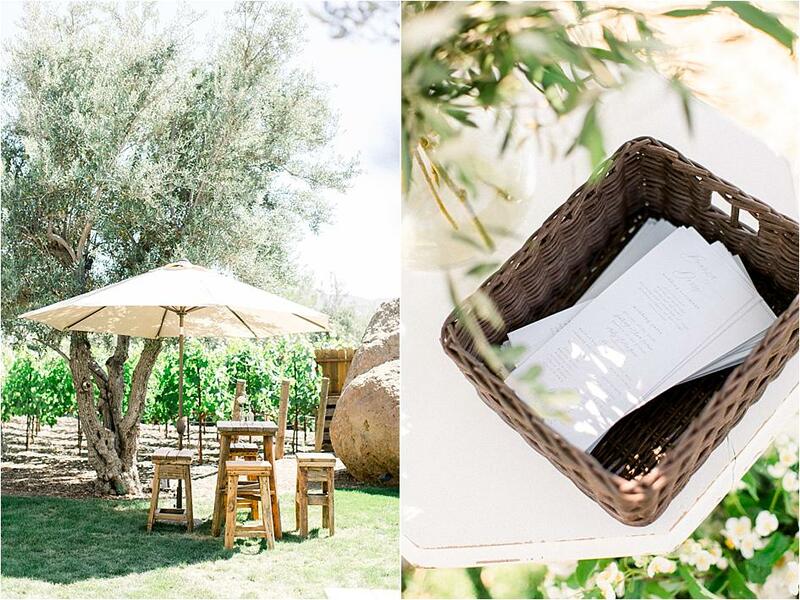 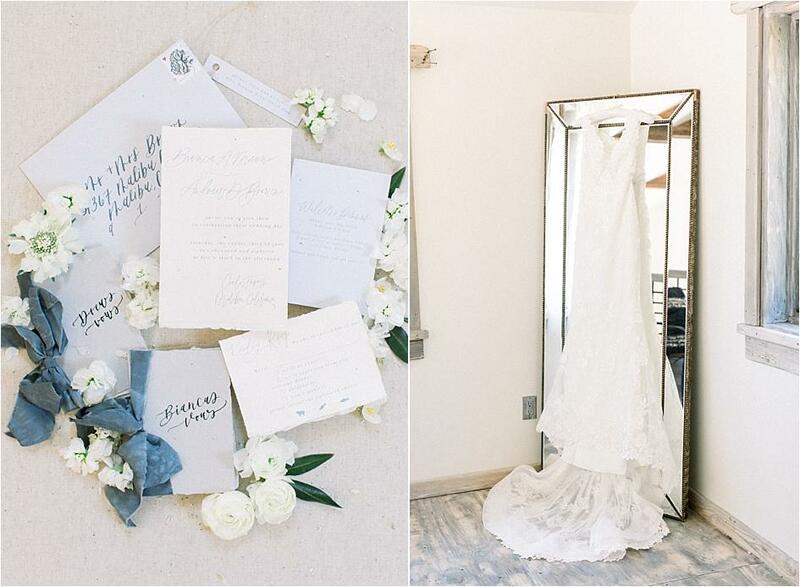 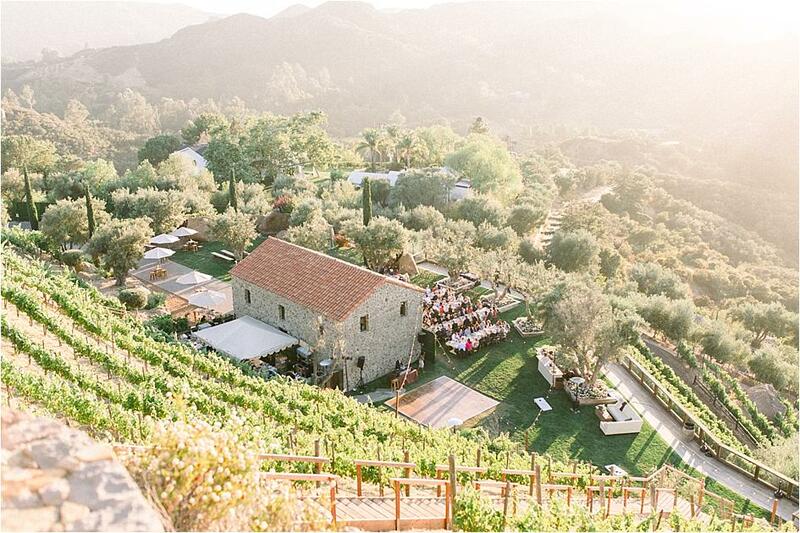 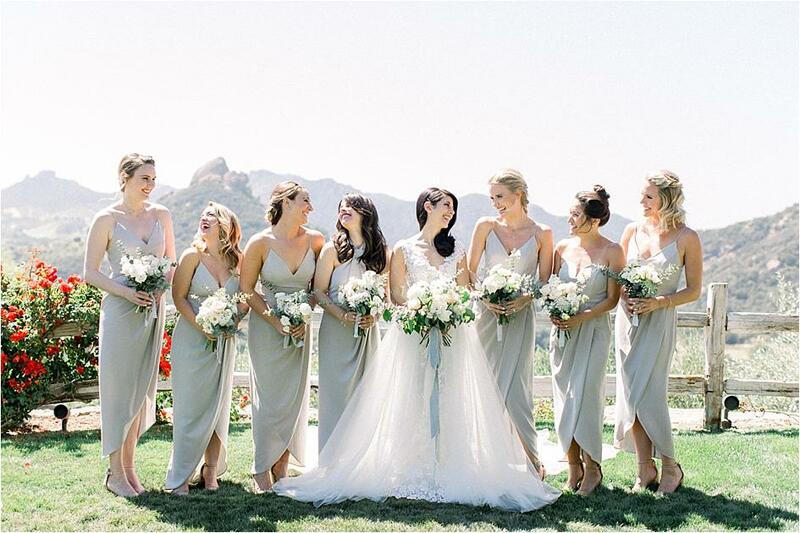 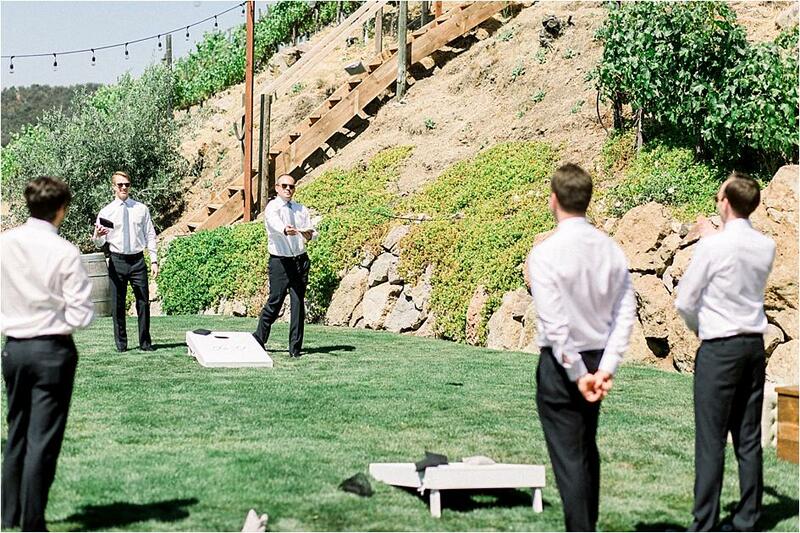 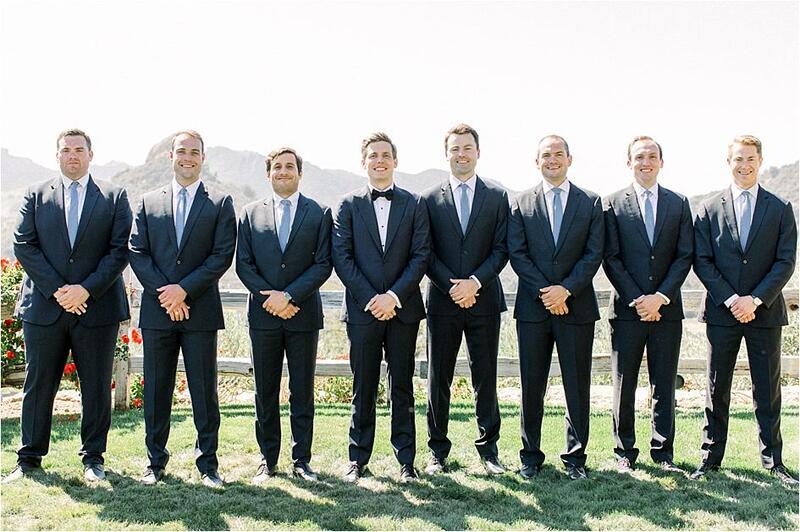 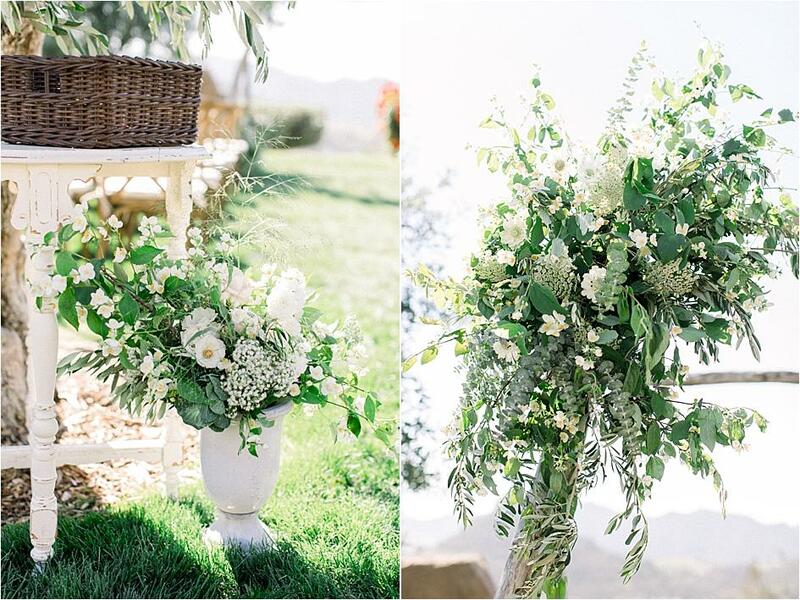 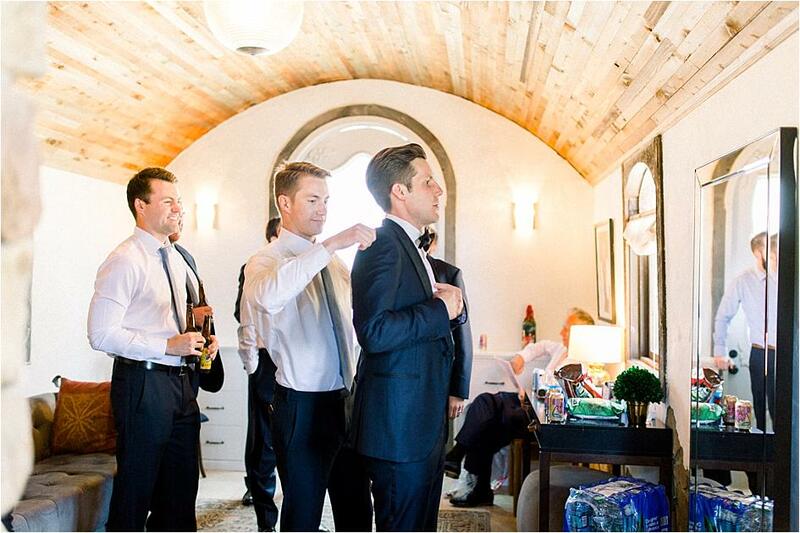 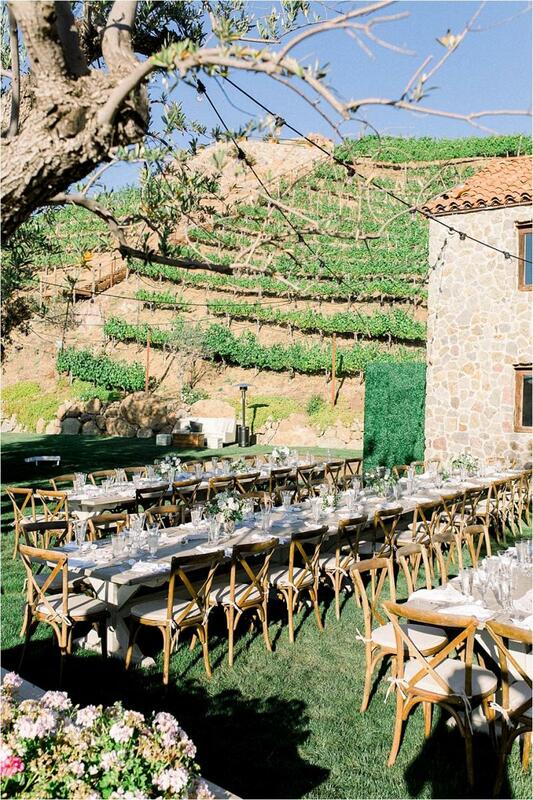 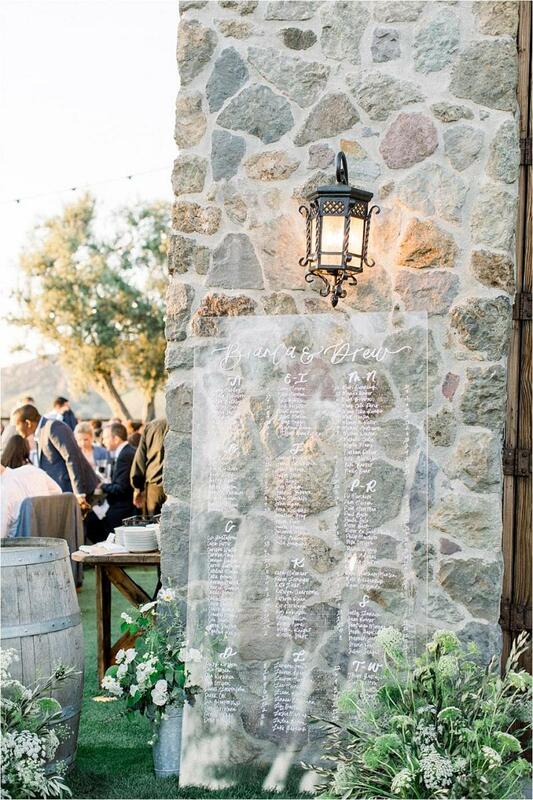 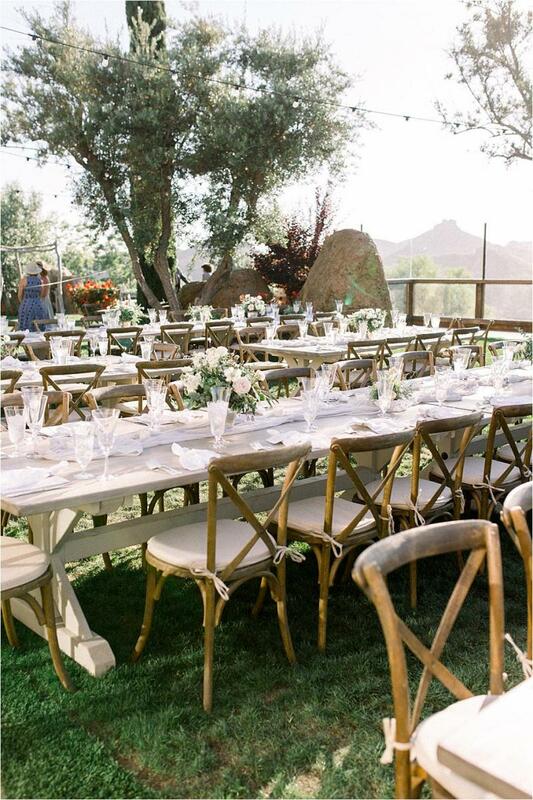 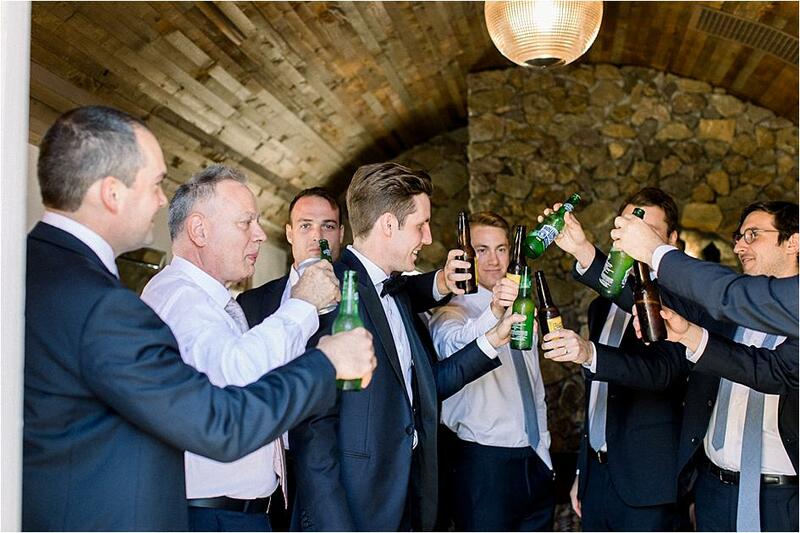 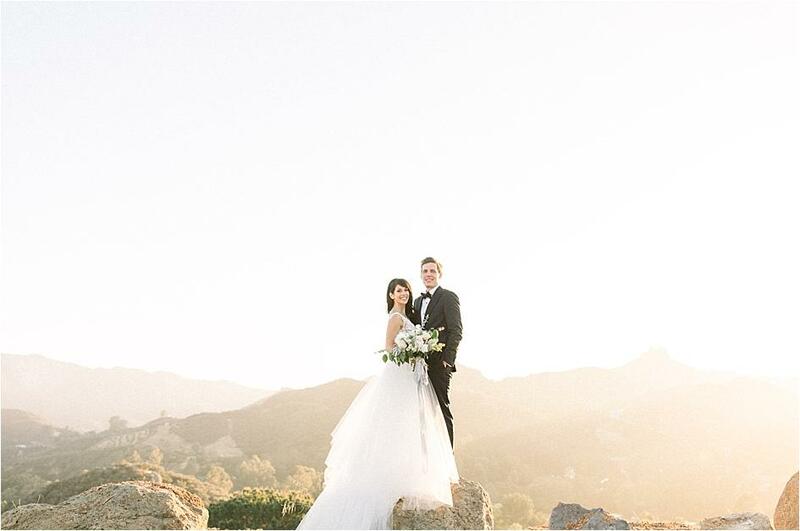 The natural beauty and neutral hues of the venue served as the perfect backdrop for this classic affair in Malibu. 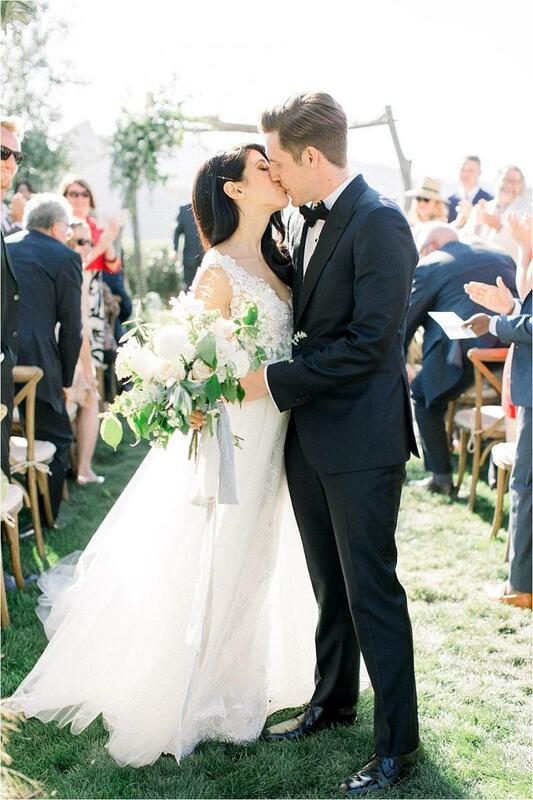 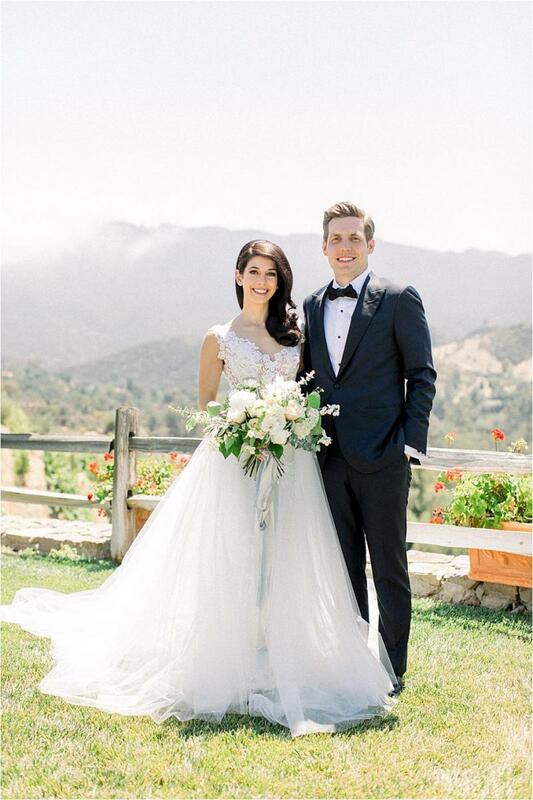 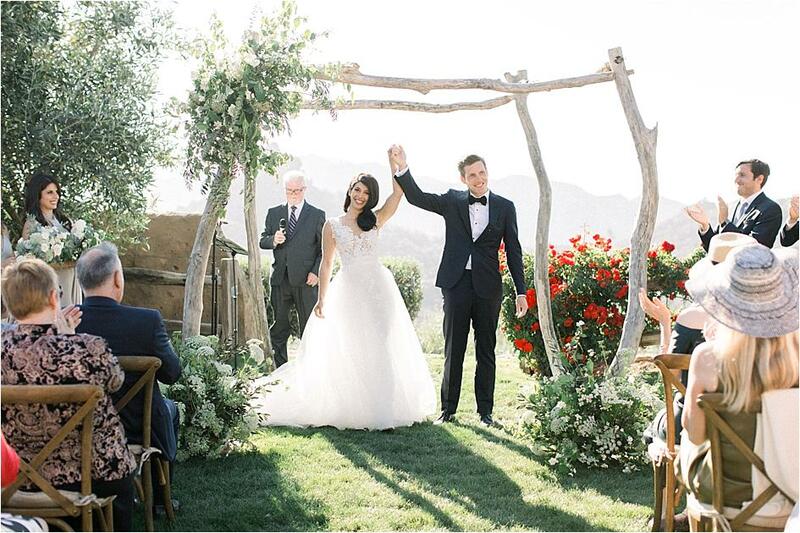 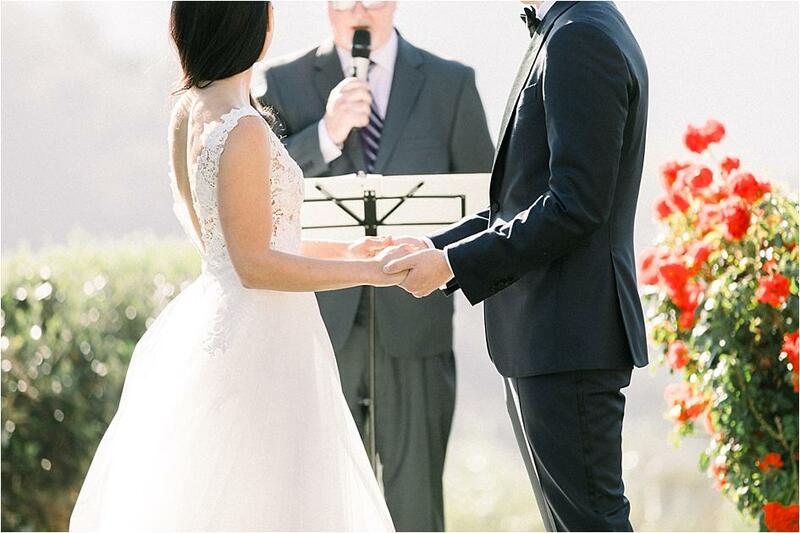 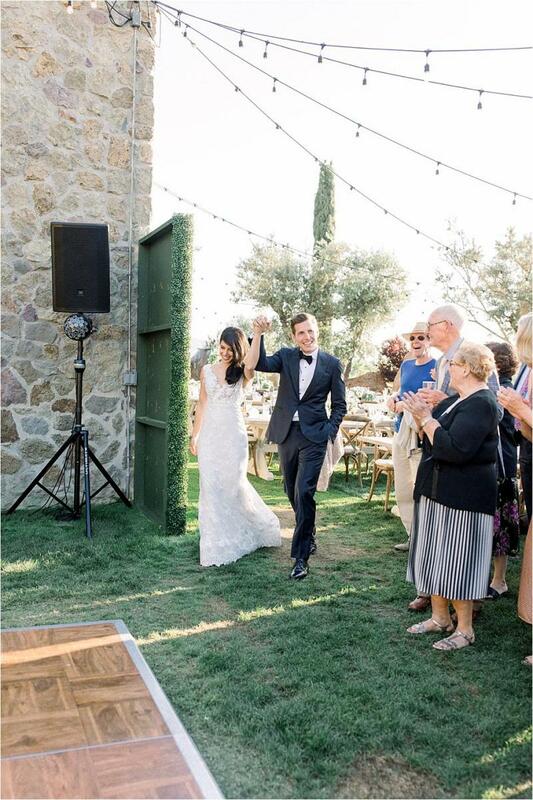 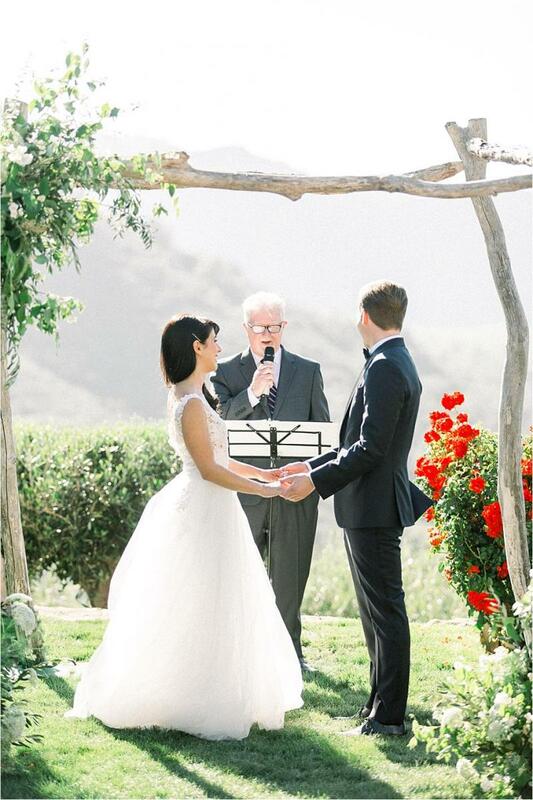 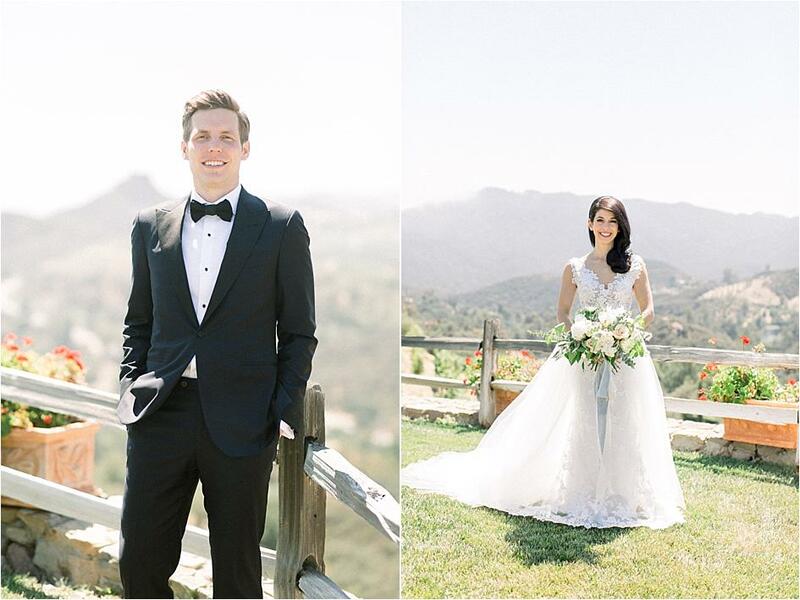 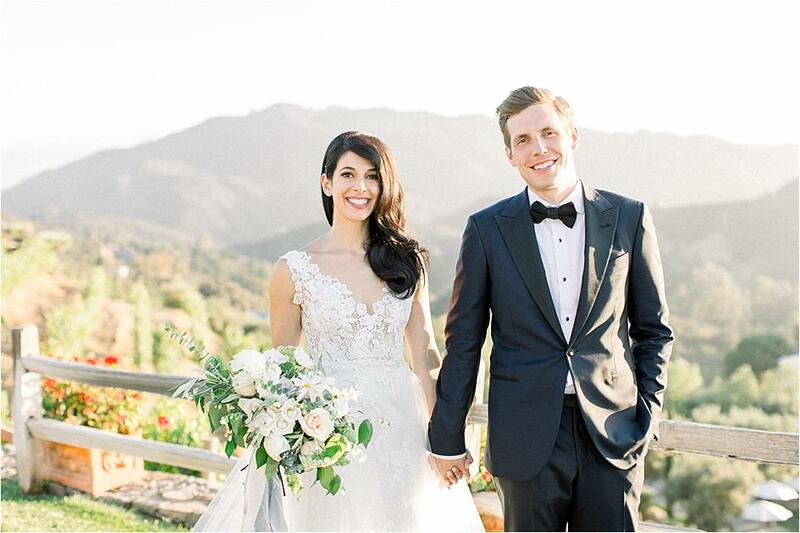 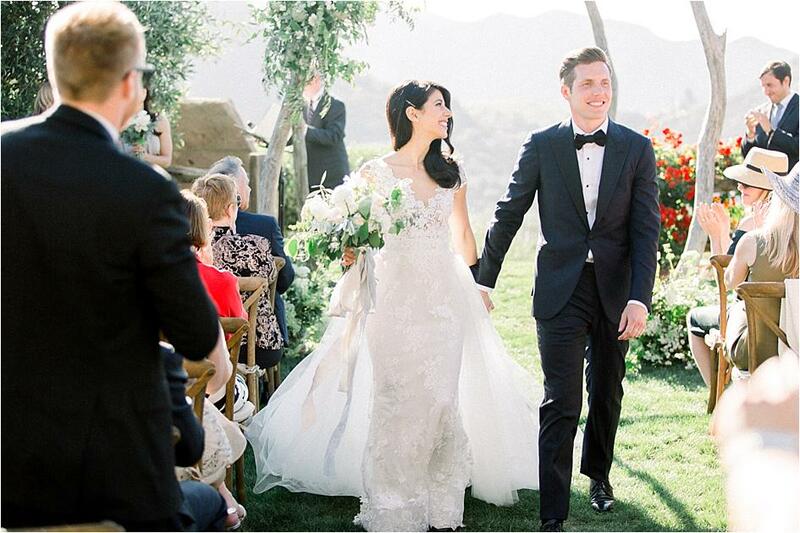 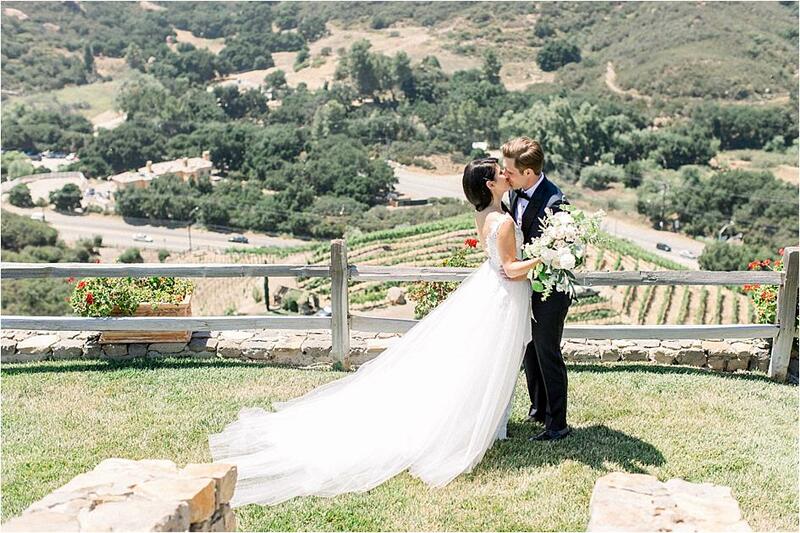 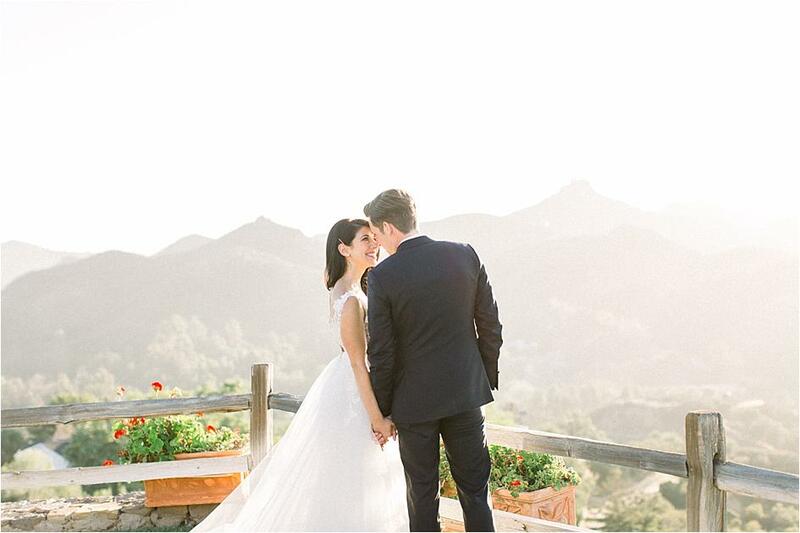 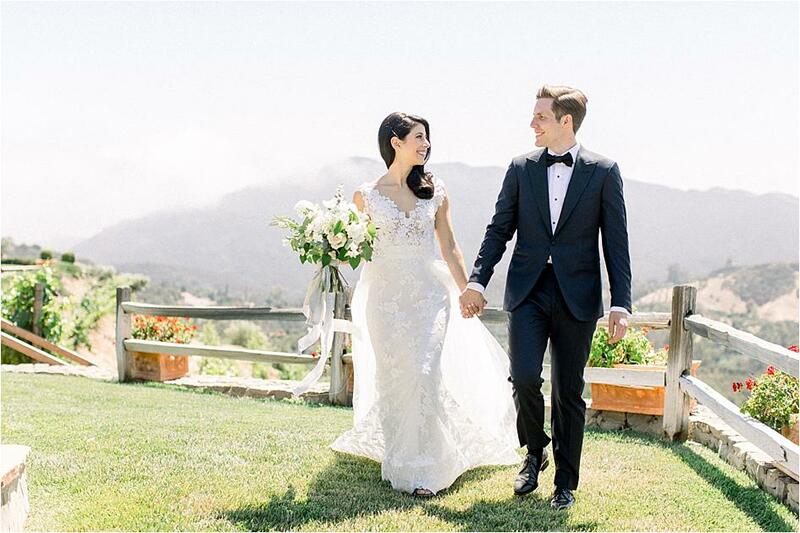 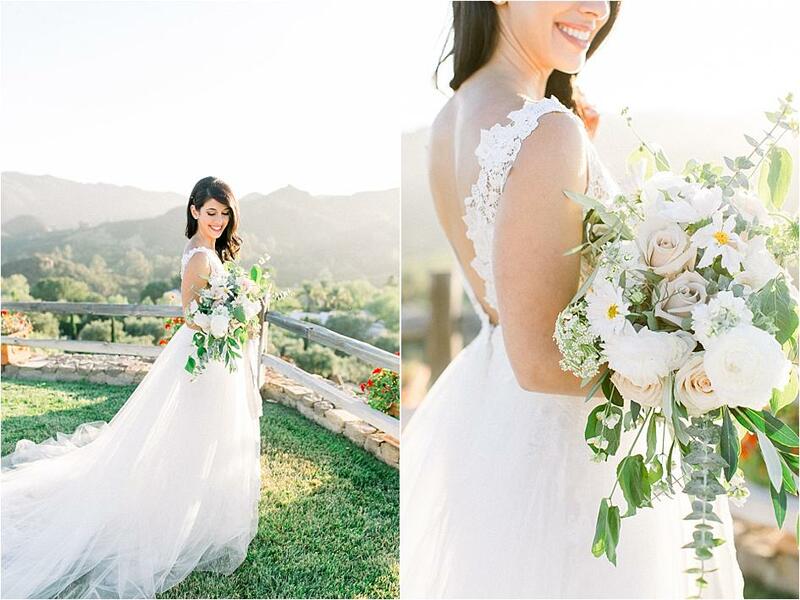 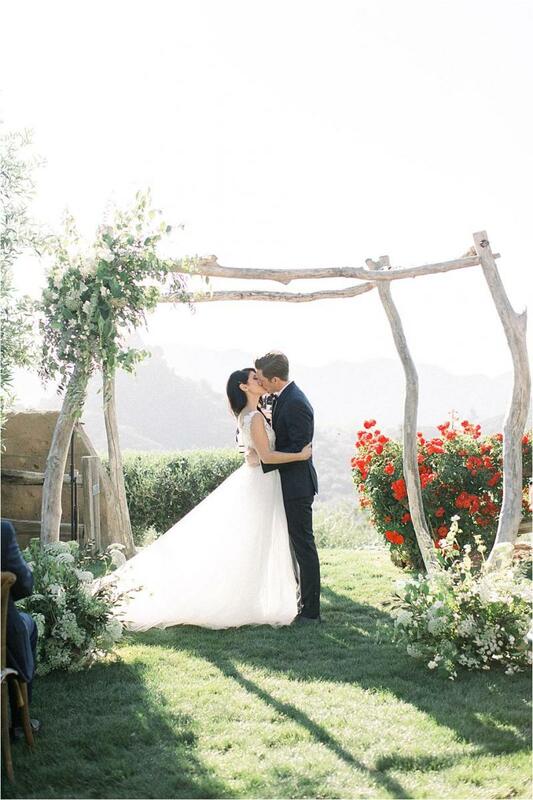 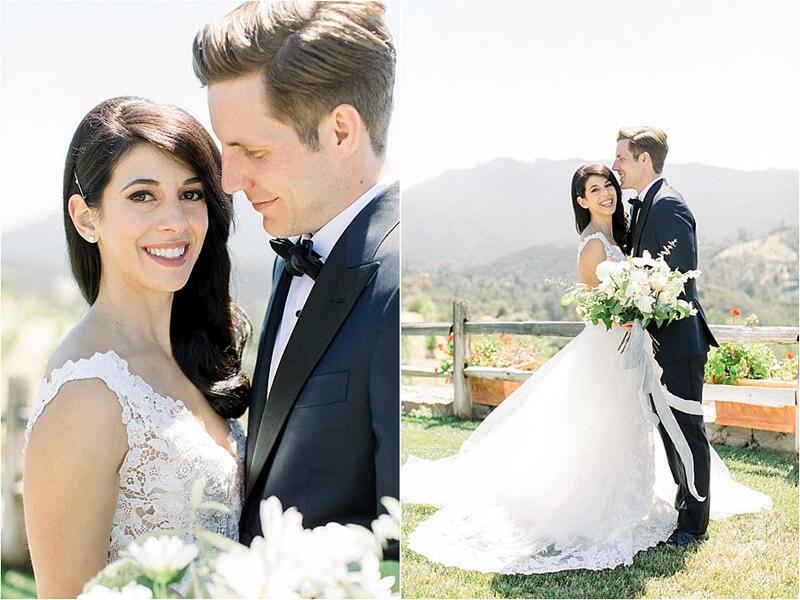 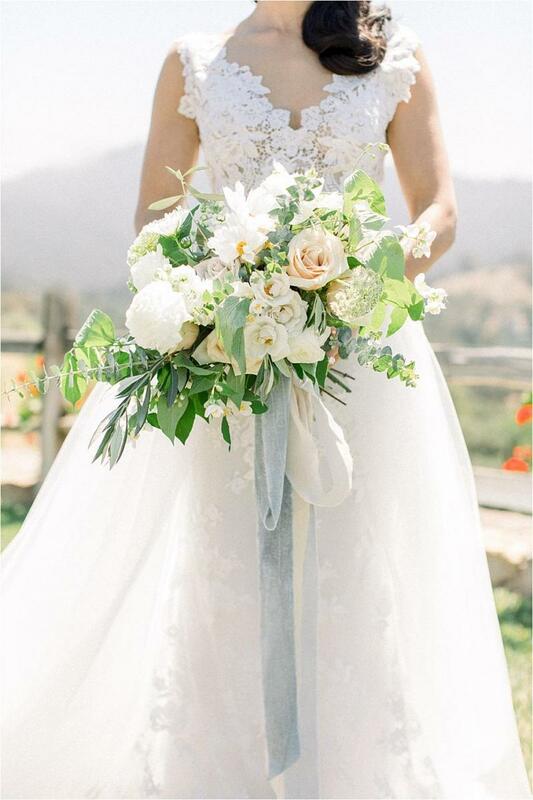 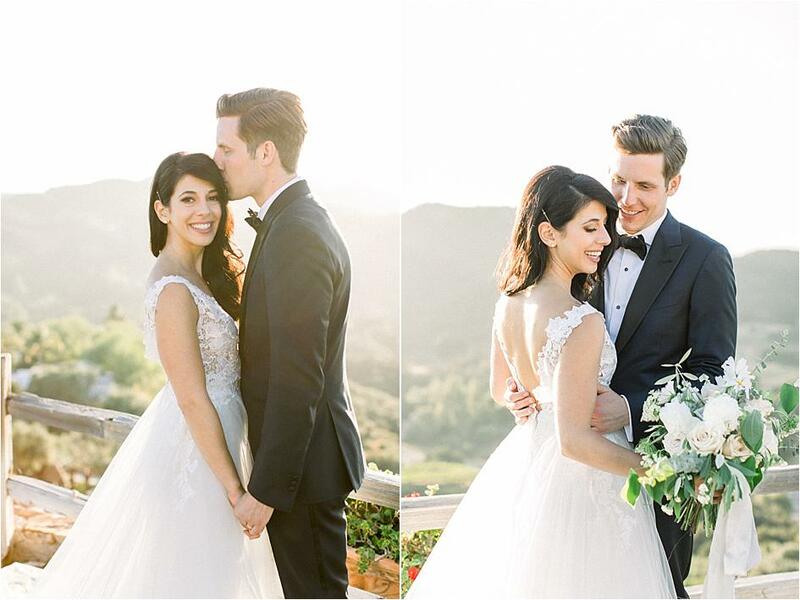 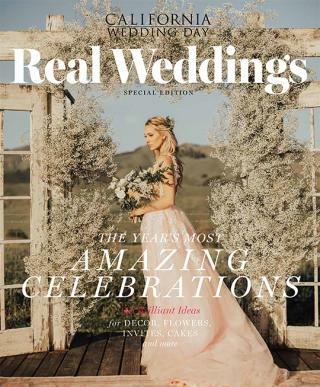 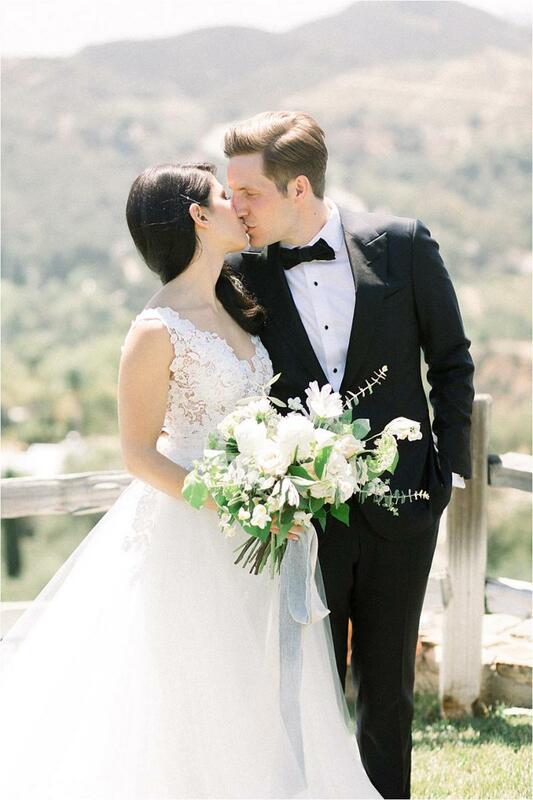 Bianca stunned in a gorgeous Lazaro gown and carried a lovely bouquet by Wildflowers Floral Design, and Drew looked dapper in Isaia attire from Neiman Marcus. 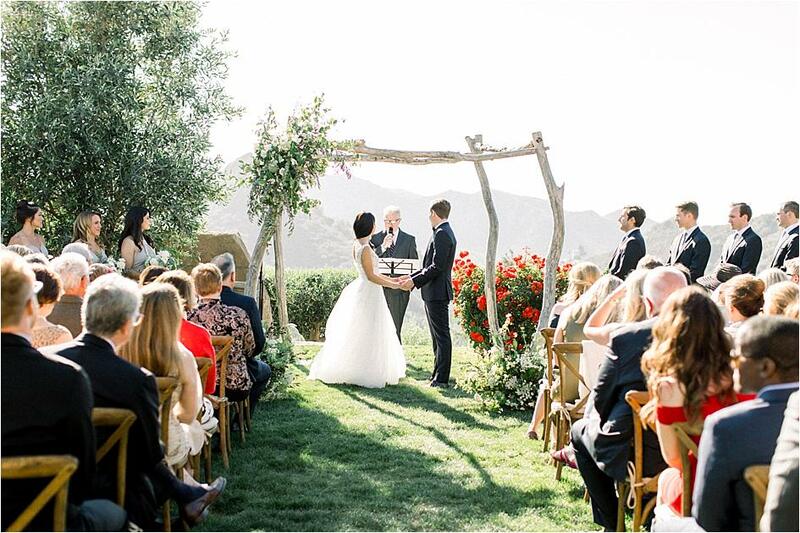 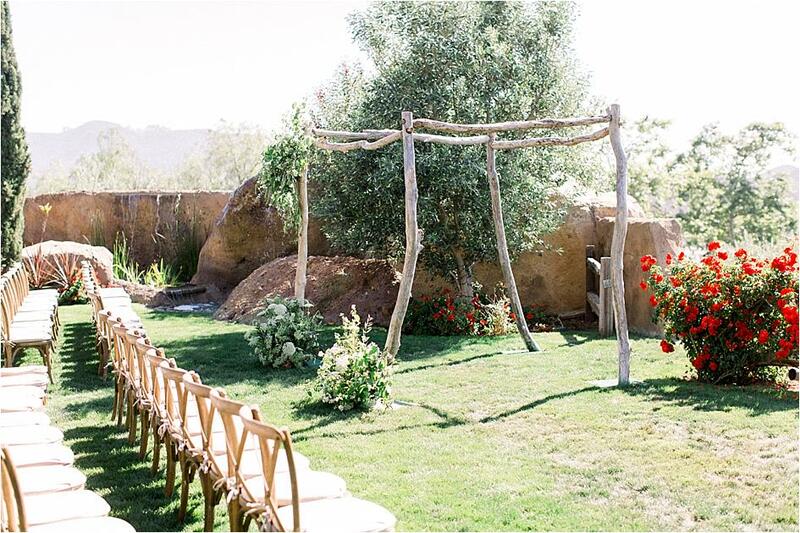 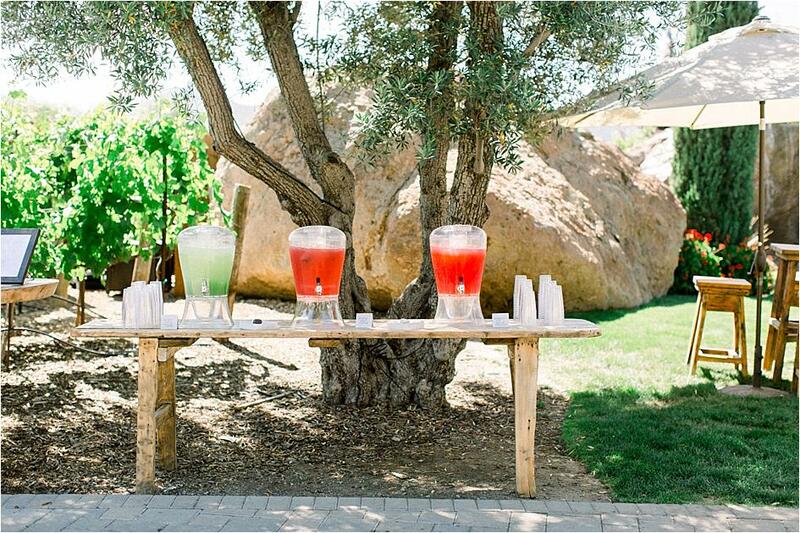 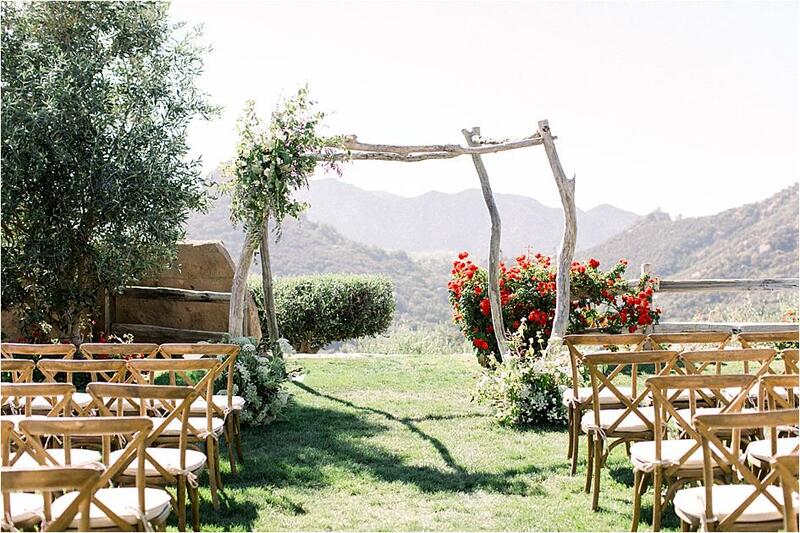 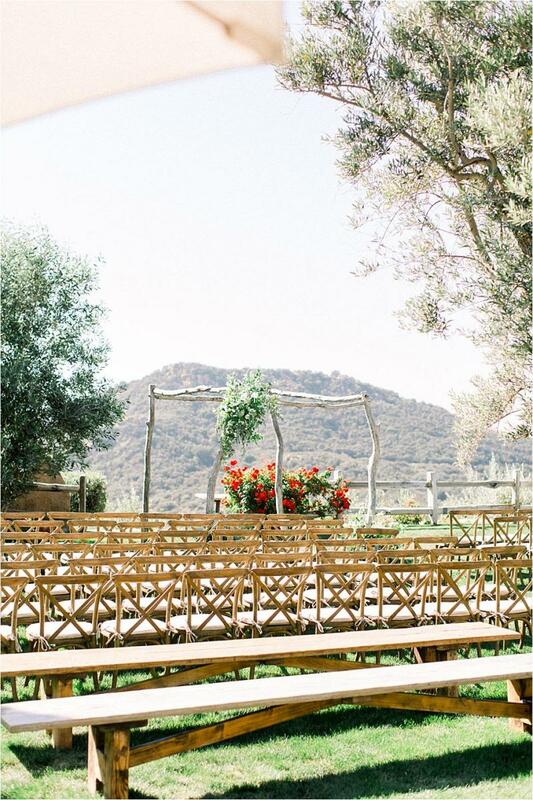 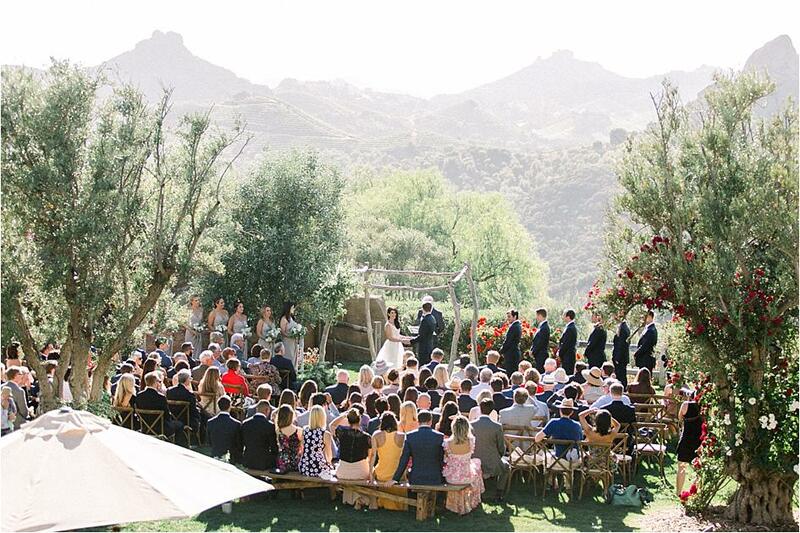 Guests were invited to a beautiful ceremony overlooking the hills, where a rustic wooden ceremony arch adorned in florals and accented by vibrant red bougainvillea bushes created the most breathtaking scene. 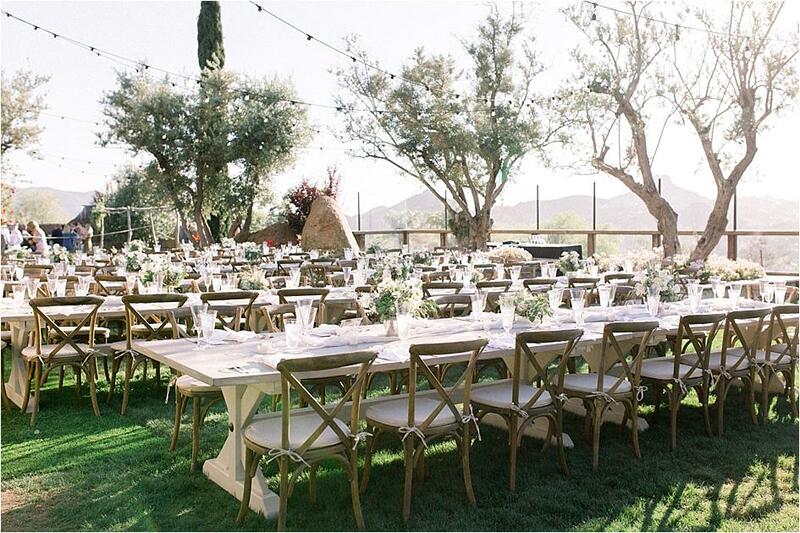 The reception was simply stunning, with its long farmhouse-style tables, elegant glassware and chic place settings providing a sophisticated spot to celebrate the bride and groom. 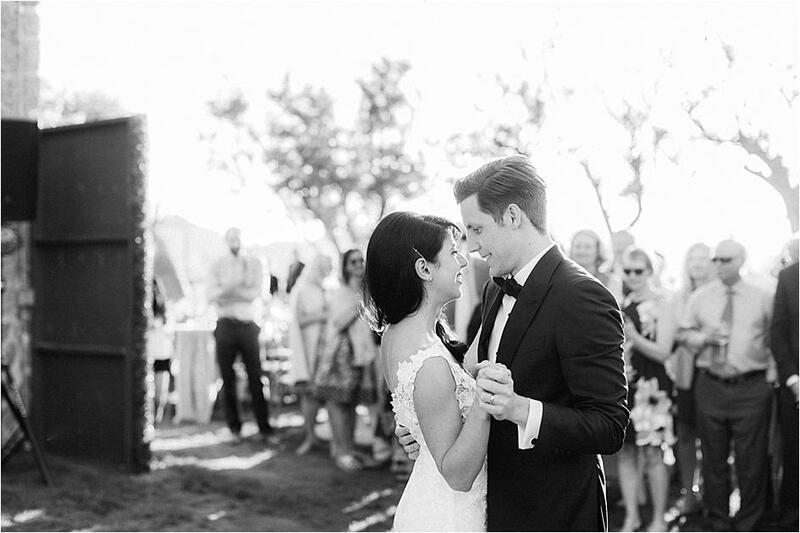 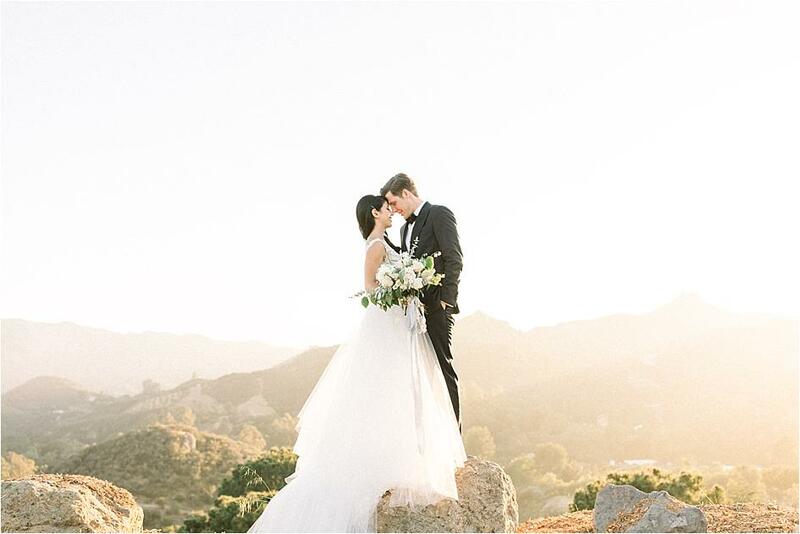 Bianca and Drew shared their first dance as wife and husband and snuck away for some gorgeous photos overlooking the valleys with the talented Jenny Quicksall.